South Taranaki District Council’s proposed rules around seismic surveying are being appealed in the Environment Court. An activist group’s appeal to the Environment Court over oil and gas rules proposed in a Taranaki council’s district plan is under way. 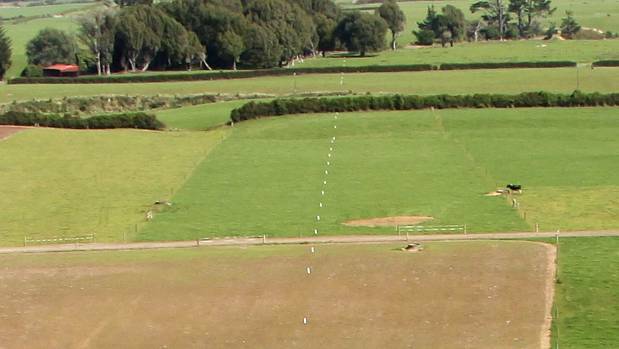 Taranaki Energy Watch (TEW), a self-described grass roots community based group, filed an appeal to the Environment Court in 2016 over the South Taranaki District Council’s (STDC) proposed rules around seismic surveying. The appeal included opposition to seismic surveys using explosives as a permitted activity, opposition to land farming – or the spreading of drilling waste – in the rural zone being a permitted activity and supports the use of separation distances to avoid risk to health, property and the environment. TEW’s challenge of the district plan was an effort to stop oil and gas companies from drilling and fracking near homes and schools. Fracking, or hydraulic fracturing, is used to extract oil and gas from rock. The controversial process involves drilling down into the earth before water, sand and chemicals are injected into the rock at high pressure, allowing gas to flow out to the head of the well. On Monday, the hearing began in New Plymouth before Judge Jane Borthwick and Environment Commissioners Jim Hodges and James Baines. Opening submissions were heard by STDC’s lawyer Matt Conway, who is also representing New Plymouth District Council and Stratford District Council as interested parties, and TEW’s counsel Rob Enright. Other interested parties to join the appeal include Federated Farmers and Petroleum Exploration and Production Association of New Zealand (PEPANZ). Submissions were made by Richard Garner on behalf of Federated Farmers, and David Allen who represented PEPANZ. The trial has been set down for five days and will include a day visit to a number of relative sites across the South Taranaki District. Following the trip, expert witnesses would be called to give evidence. Witnesses include TEW residents, PEPANZ chief executive Cameron Madgwick, and various people who would offer evidence on air discharges and quality, seismic operations and risk and risk management. The appeal has been an expensive exercise for the small group of environmental activists, who raised $40,000 themselves and received a grant of $40,000 from the Ministry for the Environment for the appeal.